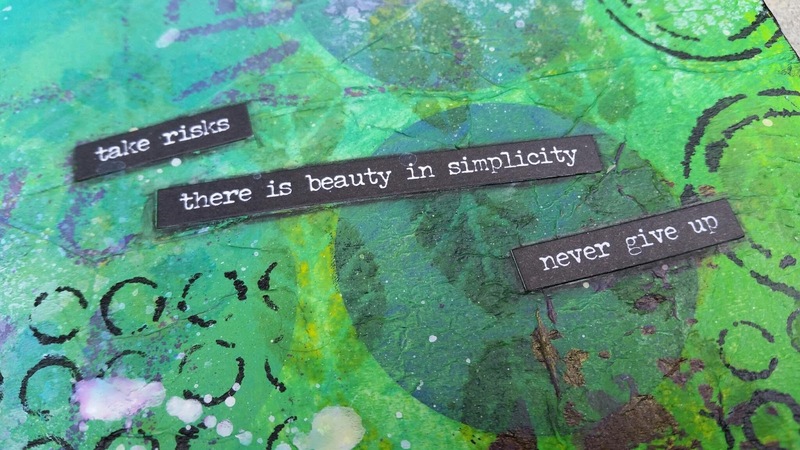 Rather than get frustrated by the lack of time I have lately to craft, I turned it into a challenge! 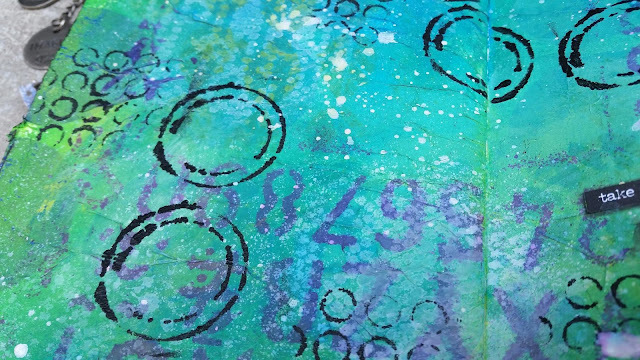 A 15 minutes time limit to complete an art journal page. Now normally I am an extremely slow crafter, like at least an hour to complete a page, so this is quite difficult for me. Today, I set my timer for 15 minutes and got to craftin'. 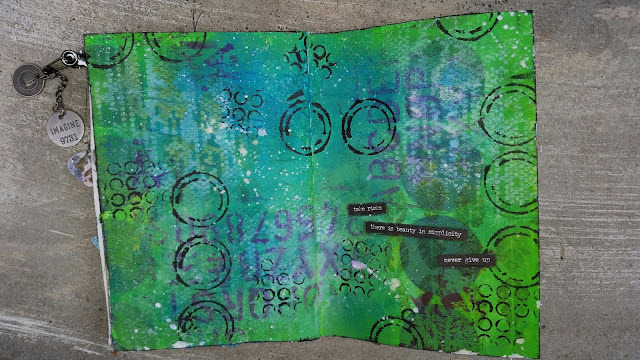 But then the timer buzzer came and went and it turned into a 21 minute art journal page. Still, not bad for me! I have been using the Dylusions Paints a lot lately. I must admit, I didn't like them at first. They are so thin and I am used to thick, heavy body paints. After using them for awhile, now I love them! I like to layer and layer the color and add the Dylusions sprays on top.